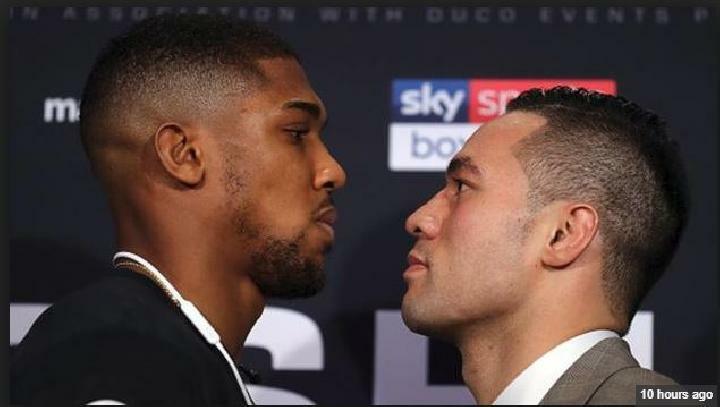 Anthony Joshua managed to beat Joseph Parker in a world heavyweight unification title fight in Cardiff, Wales, Sunday dawn WIB, April 1, 2018. British boxer managed to win the absolute number of New Zealand's opponent. In front of 80 thousand spectators, Joshua appeared dominant thanks to his range and jab outfit. But, failing to show his best performance as when knocking opponent in 20 previous bout. But, at least, he was able to make Parker's first defeat in 25 fights he lived. These results make Joshua now holds four world title belts at once. In addition to the WBA, IBF, and IBO belts he has been holding, he now also seizes WBO belts from his opponent. Joshua has a chance to become a true champion in the face of Deontay Wilder, holders of the American version of WBC. Both battles are likely to take place this year too. 0 Response to "Heavyweight World Boxing: Anthony Joshua Beat Parker"